Our Broadway caliber show will delight and astound everyone from ages 8 to 80. Critically acclaimed as the only family-friendly drag show in America, this Broadway style production will have you on your feet and cheering for more. Our queens and show cast will take you through the best of Broadway – past and present. Elaborately staged and beautifully-costumed production numbers will transport you from the roof tops of London to the streets of 1950's Baltimore. Our cast of over a dozen singers, dancers, and female impersonators are sure make you feel like you have taken a bite out of The Big Apple. Phenomenal live vocalists will bring you extraordinary renditions from Broadway musicals such as Dreamgirls, The Book of Mormon, and The Addams Family. Spectacular productions include everything from Aladdin, The Phantom of the Opera, and even a Bollywood extravaganza. 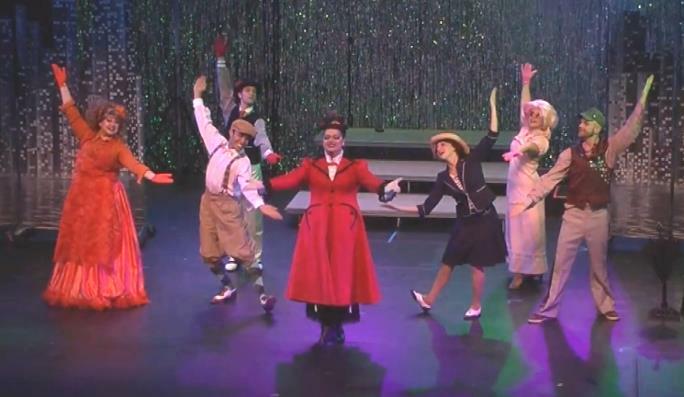 Our incredibly talented cast of singers and dancers have cut their teeth performing in commercials and kicking up their heels at local theme parks and theatres all around central Florida. Their high-energy dancing and powerful vocals take this Broadway-caliber show to a whole new level and make this production anything but a typical "drag" show.